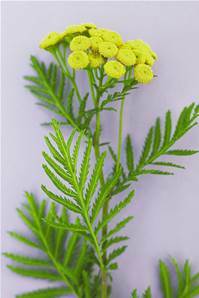 30-100 cm tall with bright yellow, button flowers and aromatic fern-like leaves. Likes dry, sunny sites, and is said to repel flies. Flowers all summer from June.